It is a game of ninja,which aims to hero Shi blown away by a circle of the spiral Shinobievil. 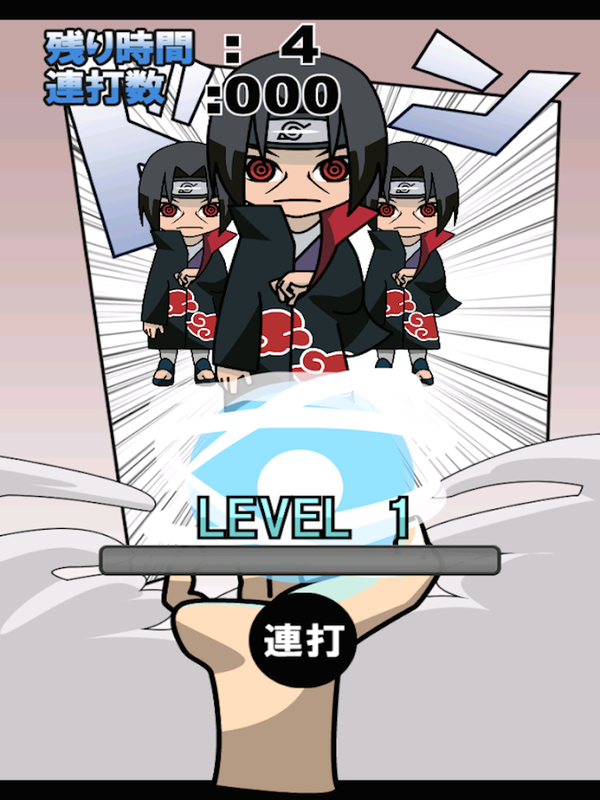 By Earn round of the spiral by the pound, you will be able to blowout the Shinobi Akatsuki. And competing with other players whether it has blown away much,so you aim at Shinobi most village! 悪の忍びを螺旋の丸で吹っ飛ばし英雄を目指す忍者のゲームです。連打をして螺旋の丸を溜めることで、暁の忍びを吹っ飛ばすことができます。どれだけ吹っ飛ばしたかを他のプレイヤーと競って、里で一番の忍びを目指そう！It is a game of ninja,which aims to hero Shi blown away by a circle of the spiral Shinobievil.By Earn round of the spiral by the pound, you will be able to blowout the Shinobi Akatsuki.And competing with other players whether it has blown away much,so you aim at Shinobi most village! 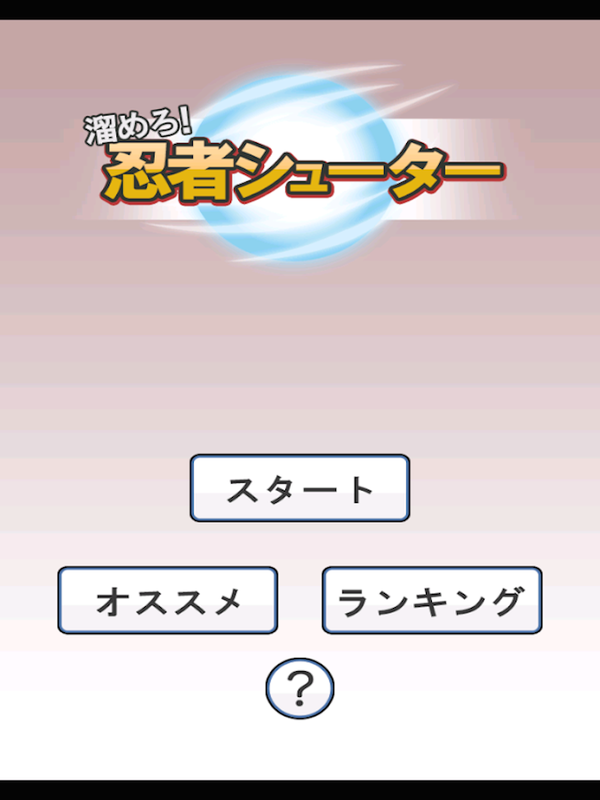 A ninja can use various ninjutsu (ninja skills).When you usematching ninjutsu (ninja skills), you can overcome difficultstages.■ Easy operation ■The operation is very simple!Just tap tojump over obstacles and valleys.■ Creating ninjutsu ■By combiningmultiple items, you can obtain ninjutsu.■ Total of 10+ stages ■Eachtime you advance to the next stage, the level of difficultyincreases. So use your skills well to defeat the boss at theend.Besides the stages, a "challenge map" is provided to show-offyour accomplishments to your friends. Run through this ninja world while trying to duck and jump over themany obstacles, careful as it gets more difficult and addictive thefurther you get into it. Try for a high score and watch out forthose spiders! Play PSP games on your Android device, at high definition withextra features! PPSSPP is the best, original and only PSP* emulatorfor Android. It runs a lot of games, but depending on the power ofyour device all may not run at full speed. Buy this Gold version tosupport development. There is also a free version. Galaxy S7 issupported again and works! No games are included with thisdownload. Dump your own real PSP games and turn them into .ISO or.CSO files, or simply play free homebrew games, which are availableonline. Put those in /PSP/GAME on your SD card / USB storage. Seehttp://www.ppsspp.org for more information.